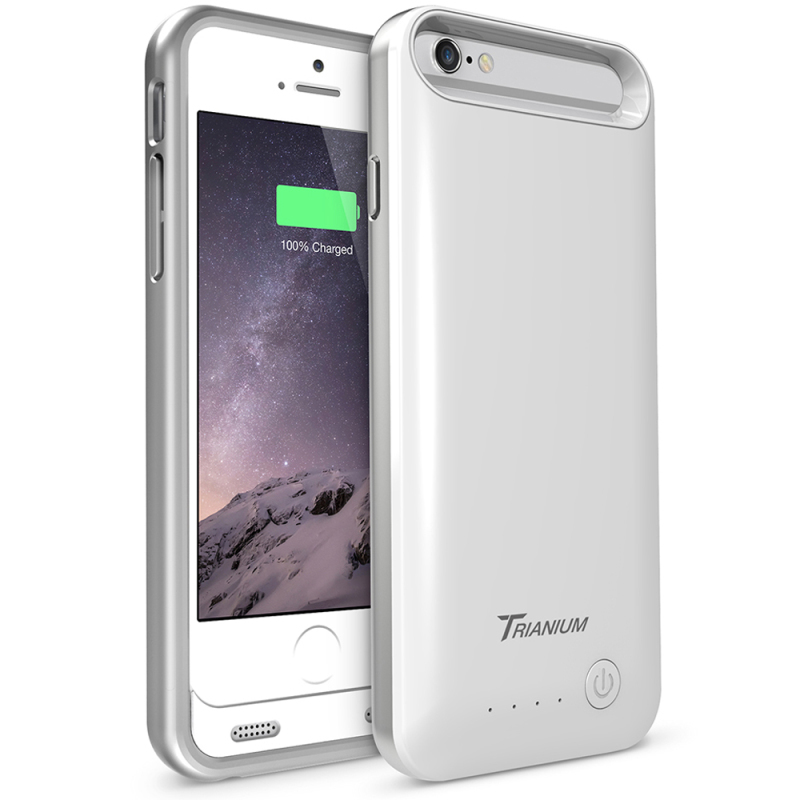 The Atomic Battery Case from Trianium is the # 1 Best Seller of the essential power accessory for your iPhone 6 6S. 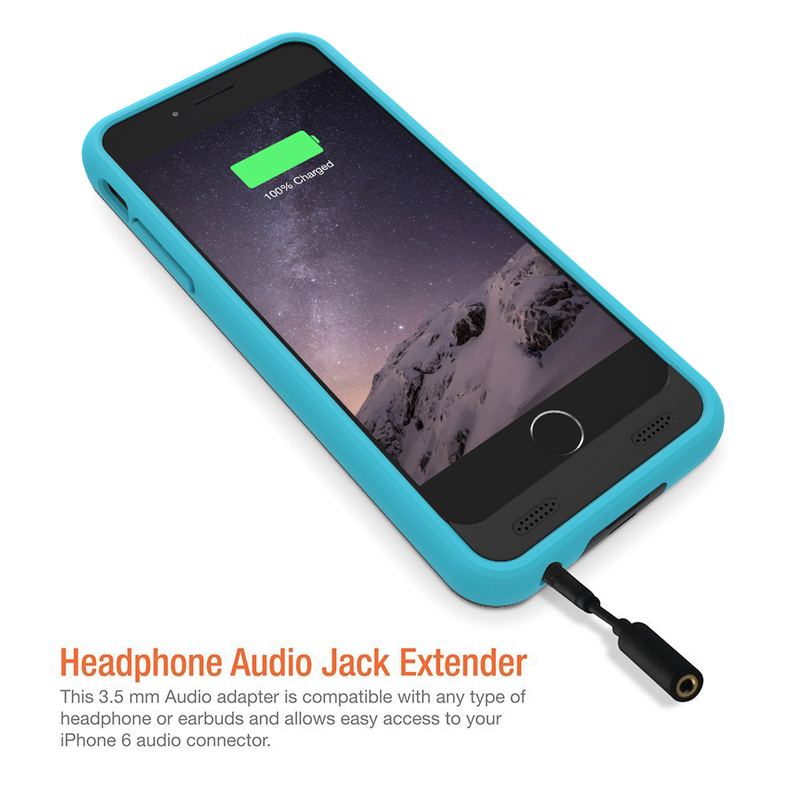 With the ability to double your battery life as well as add comprehensive protection, you will never have to worry about your iPhone out of battery again. 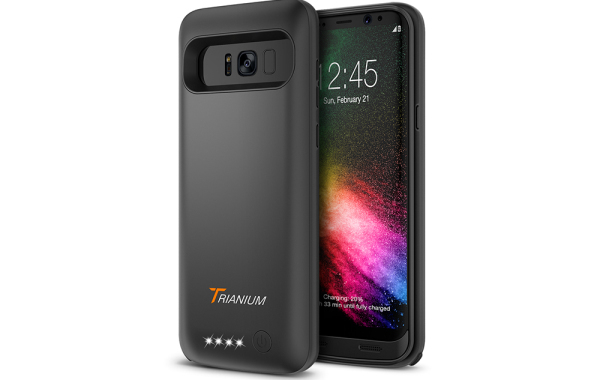 Trianium stands behind our products with confidence and provides the Lifetime Warranty for their Atomic S Battery Case Series. SKU: MTS-3000-BBLU. 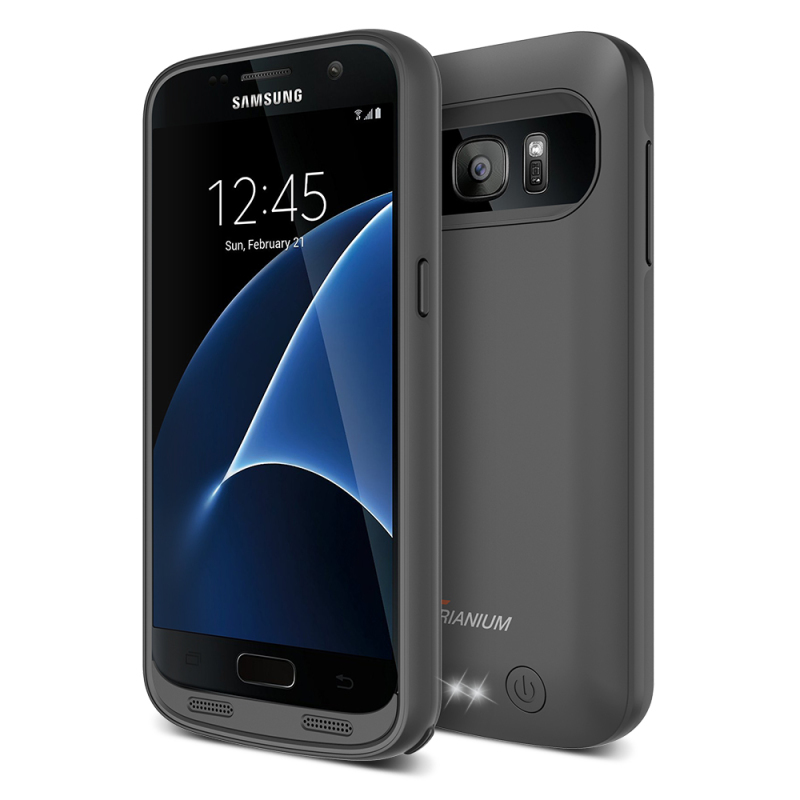 Categories: Atomic S Series, battery cases, iPhone 6 6S 4.7". 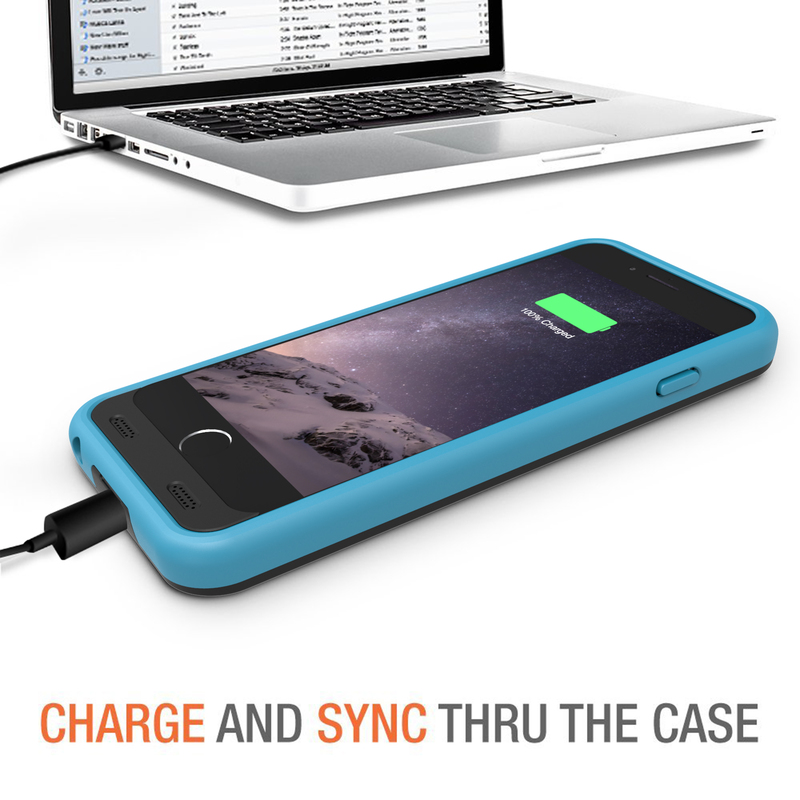 Tags: Atomic S Series, iPhone 6/6s/6 Plus/6s Plus Atomic S Series. 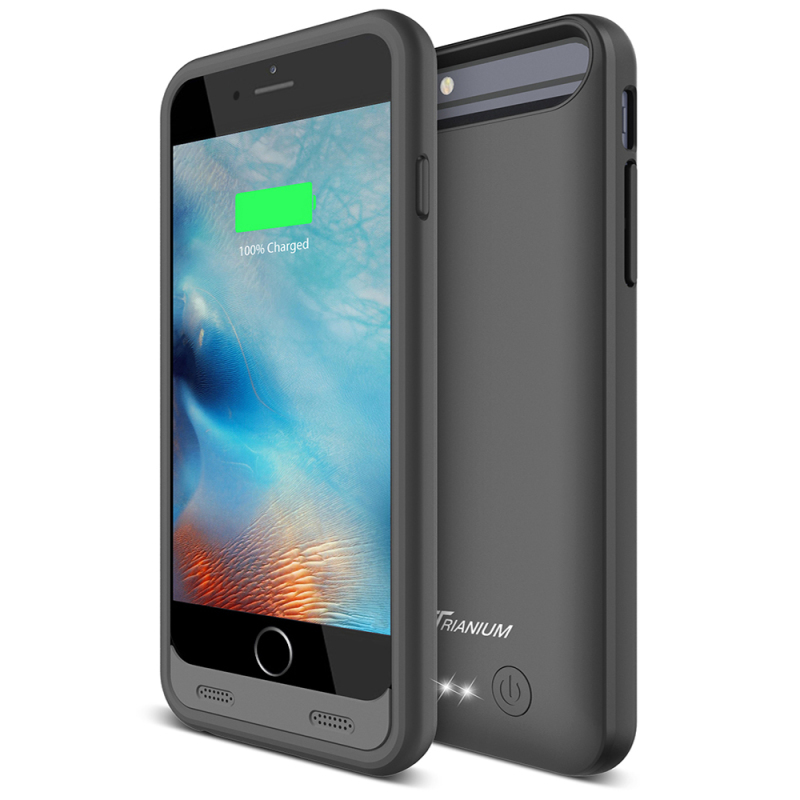 Trianium Ultra Slim External Protective Battery Case Power Pack is designed for your Apple iPhone 6 2014 & iPhone 6S 2015 (4.7 inches) Release. Experience your iPhone 6 6S in a whole new way. 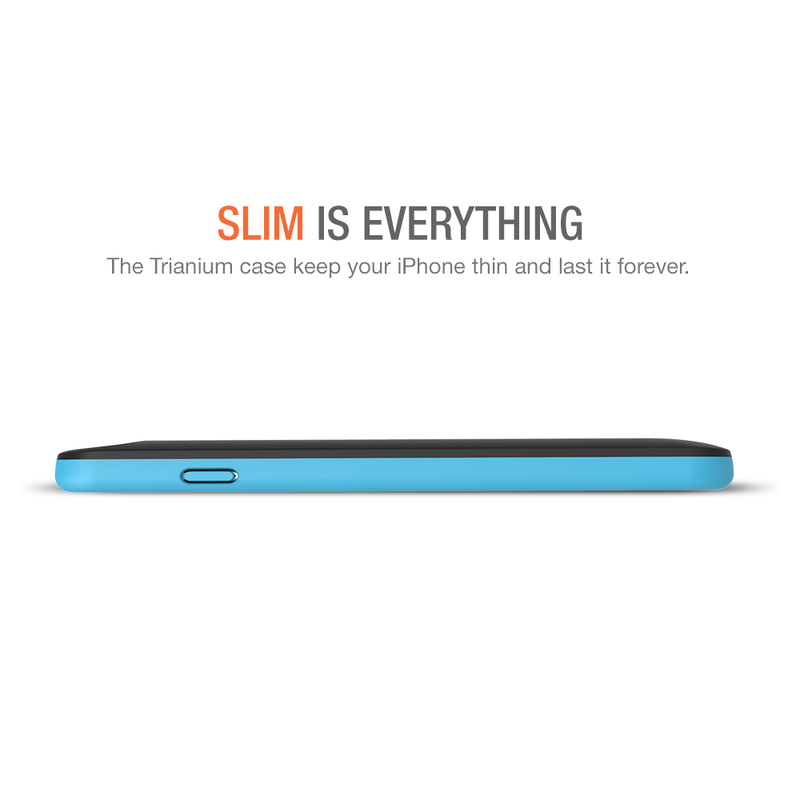 The best part of the Trianium Atomic S provides your iPhone 6 6S with premium protection against the wear and tear of everyday living, while it is still keep its minimal form factor. 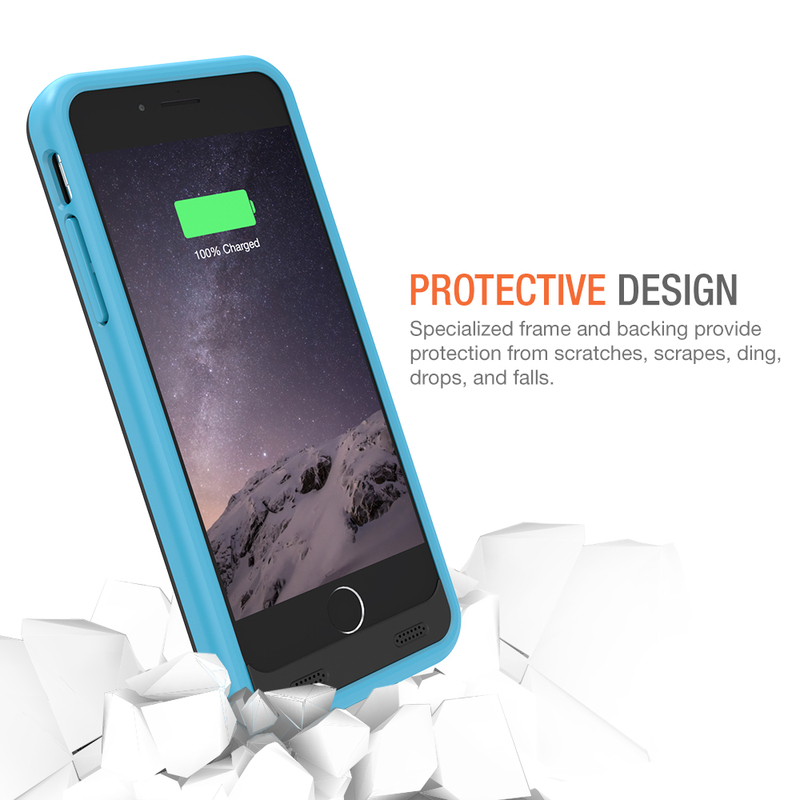 With its light-weight, simplest bumper design, the Atomic S does an outstanding job to extend your time to rock, talk, and protect your iPhone 6/iPhone 6S. 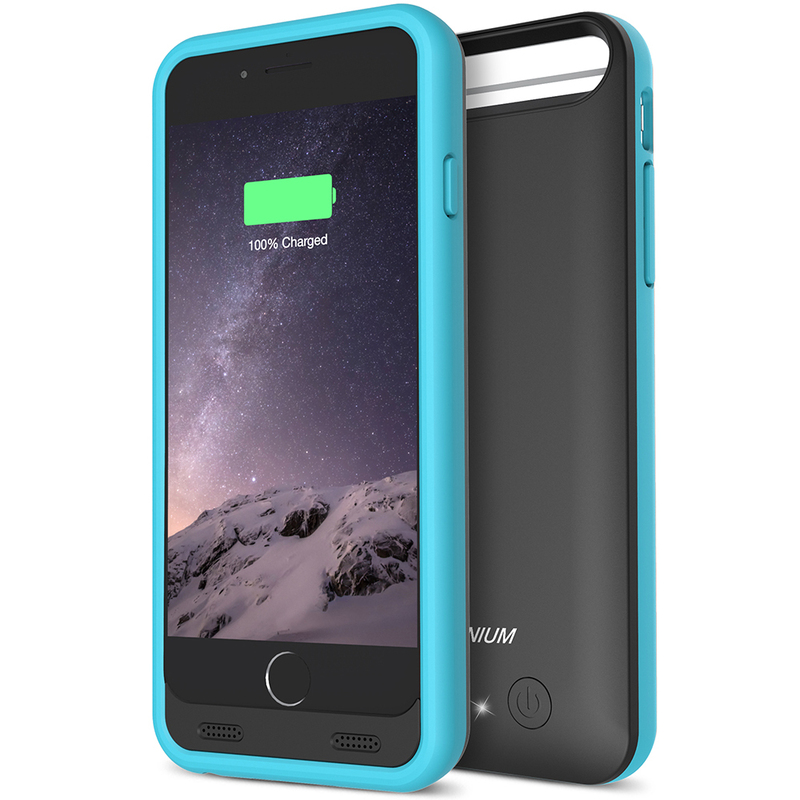 This durable, ultra-slim case enclosed a maximum capacity 3100mAh battery core, with the ability to double the lifespan of your iPhone 6/6S battery life for some series extra hours. 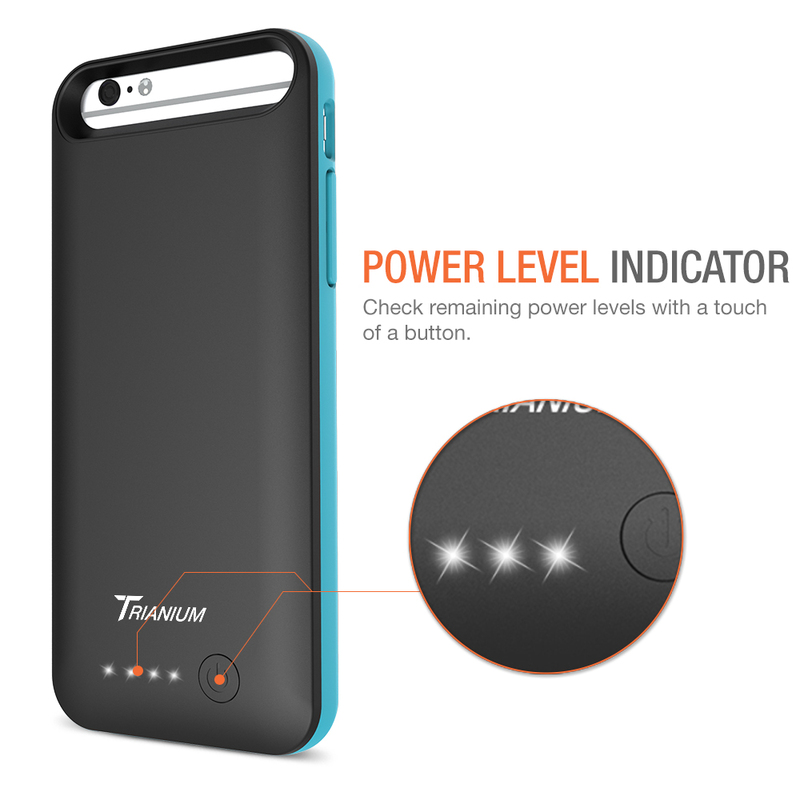 The Trianium Atomic S has fully functional set of features including LED power level indicators so you can check power remaining at any time, and pass through syncing so that you don’t need to remove the battery to sync with iTunes. Do not expose the product to water, rain, or any chemical liquid. Keep the product away from direct sunlight and open flame to prevent overheating. 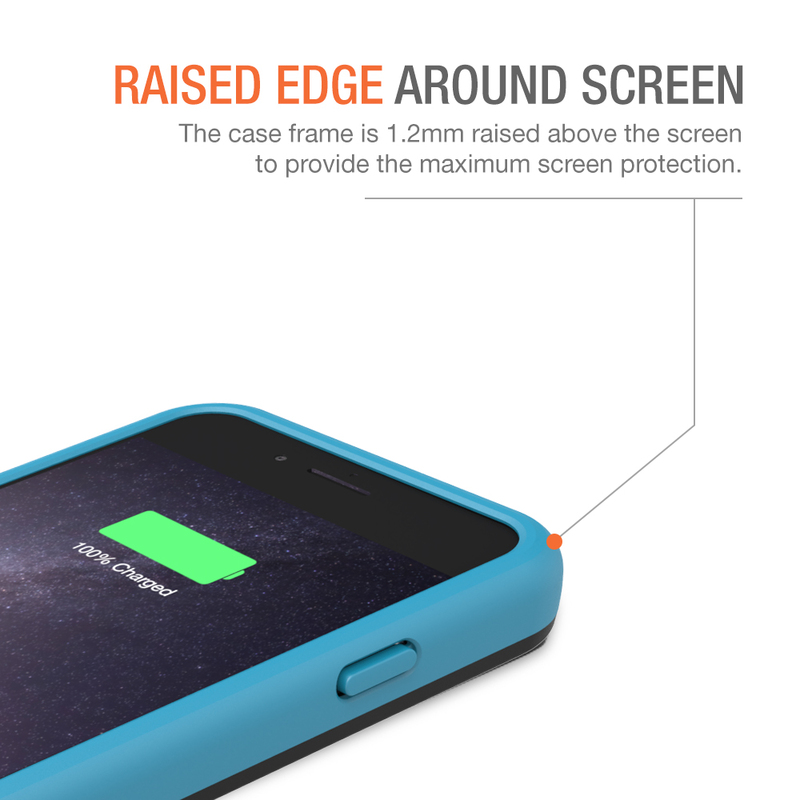 Inspect the case after drops or bumps to ensure the case is working properly. 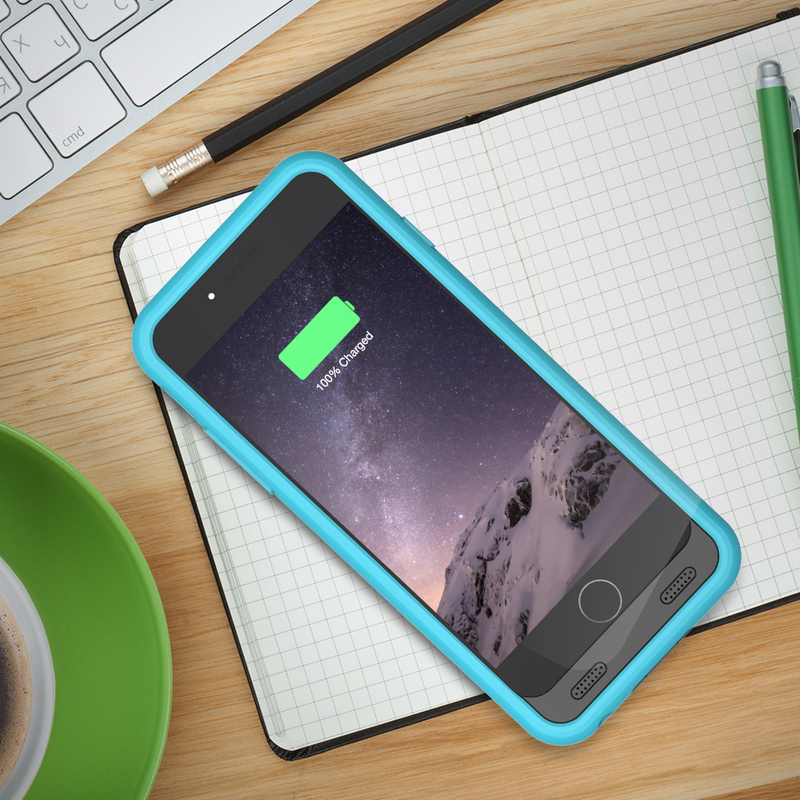 The Atomic S comes with lifetime warranty, for any charging issue related to the battery case, contact us immediately for proper resolution.